An extended January thaw: 12 of next 14 days above 32F? It's that time of year again, when Minnesotans reluctantly pay a January Weather Tax. Small price to pay for living in Paradise right? At least that's how I explain it to confused relatives living out east. "We could be battling traffic in south Florida, searching for water and green, living things in Arizona, or just tough it out here in the Land of 10,000 Weather Extremes!" Minnesota winters keep the riff-raff out! How did I get in? An El Nino brewing in the Pacific will mean a lower windchill risk, at least looking out the next 2-3 weeks. A mild breeze direct from Seattle keeps us 10-20F warmer than average into next Thursday. Expect mid-30s today (which will feel perversely good after our recent cold snap), then 40F Friday and Saturday. With little snow left in the metro low to mid 40s aren't out of the question by Saturday. We should experience enough hours above 32F each afternoon to melt away ice on secondary roads & side street. Storms impact the western, the south and eastern USA, but we stay dry and almost March-like into next week. Obligatory weather-disclaimer: Canada will hurl cold fronts in our general direction until further notice. But maybe not quite as many as during a typical Minnesota winter. Extended January Thaw. European model guidance (ECMWF) suggests 12 of the next 14 days will see daytime highs above 32F. That's a fairly big deal, considering the next 2-3 weeks are, historically, coldest of the year. Feel free to thank (or curse) an increasingly coupled El Nino event in the Pacific. A Few Glancing Blows of Arctic Air? Gazing at long-range guidance (which can easily give you a headache) I still suspect the Great Lakes and New England stand the best chance of experiencing a series of arctic slaps later this month. Although a Pacific flow may dominate the pattern and keep our weather a bit more moderate, odds are we'll enjoy a few glancing blows of numbing air. 2018's Precipitation Records on One Map. Last year was a very wet year for much of the USA, especially Midwest to Mid Atlantic. Here's a clip from an explainer at Climate Central: "...Of 2,800 stations analyzed by Climate Central, 133 (across 21 states) saw record precipitation totals this year, and 685 saw yearly totals that were among the top 10 on record. 2018 is already the fifth-wettest year on record in the contiguous U.S. Warmer air holds more moisture. Earlier analysis by Climate Central showed that 42 of the 48 states in the contiguous U.S. will see increased runoff risks from heavy rain by 2050. Heavy rain can damage or destroy infrastructure, homes, and businesses. It jeopardizes public health, washing sewage into waterways, kicking up polluting sediments, and creating habitats for disease-carrying insects..."
2018 Total Precipitation. Over 40" of precipitation fell over far southern Minnesota last year, with a new state rainfall record likely (Harmony or Caledonia) with over 57" reported. Precipitation Departure from Normal. The greatest anomalies were southern Minnesota, northern Iowa and southern Wisconsin, where amounts were 20-25" above average in some counties. Map: Praedictix. As a system becomes better organized in the southern United States, the threat of wintry weather will increase across parts of the Southern Plains Wednesday and Thursday, including accumulating ice and snow. The heaviest precipitation is expected to fall from tonight through Thursday Night across the region. This could bring the potential of 3-6” of snow as well as up to a quarter inch of ice across parts of Texas and Oklahoma. This will lead to slick and rough travel. Southern Wintry Weather. As a system becoming organized in the southern United States over the next couple days, wintry weather will spread across parts of Texas and Oklahoma. While some light precipitation is occurring today bringing a glaze of ice along with it, the best timing on heavier snow and ice across the region will be from this evening through Thursday Night. 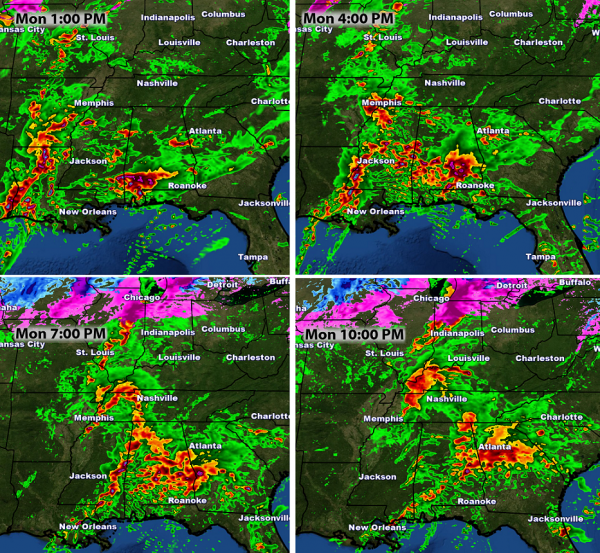 This same system will also bring heavy rain from southeastern Texas into Mississippi. In these areas, rainfall amounts of at least 2-4" could lead to flash flooding. Oklahoma City, OK: Winter Storm Watch from 6 PM tonight to 6 AM Friday for the potential of up to a tenth of an inch of ice and 2-5" of snow. The best timing on snow will be Thursday into Thursday Night. Amarillo, TX: Winter Weather Advisory from 6 PM tonight to 6 PM Thursday for mainly up to an inch of snow. Lubbock, TX: Winter Storm Watch from 6 PM tonight to 6 PM Thursday for mainly up to an inch of snow. Wichita Falls, TX: Winter Weather Advisory until 6 PM tonight and a Winter Storm Watch from 6 PM tonight to 6 AM Friday. Light freezing rain is expected today bringing a glaze of ice. Better mixed precipitation chances exist Thursday and Thursday Night with 3-6" of snow and up to a quarter inch of ice possible. Fort Worth, TX: Winter Weather Advisory through Noon today for a glaze of ice. Abilene, TX: Winter Weather Advisory until 6 PM Thursday for up to a tenth of an inch of ice today and tonight with 2-4" of snow or sleet Thursday. Snow Forecast. With this system, there is the potential of 4"+ of snow across parts of northern Texas and southern Oklahoma. At the moment the best chances appear to be southwest of Oklahoma City and east of Lubbock. Some parts of the Red River Valley could see up to 6" of snow, which would lead to difficult travel conditions due to snow covered roads. Ice Potential. The best chance of accumulating ice - potentially up to a quarter inch in spots - will be just south and west of where snow falls across parts of Oklahoma and Texas over the next few days. This ice will lead to slick roads. Tornadoes of 2018. For the first time since 1950 there were no reports of EF-4 or EF-5 strength tornadoes, nationwide. U.S. Tornadoes created this map with data from Iowa Environmental Mesonet. Credit: Imgur. 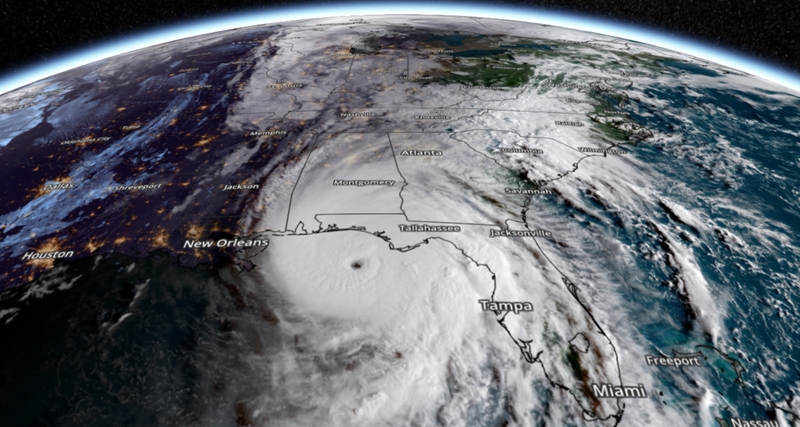 October 10 file image of Hurricane Michael: NOAA and weather API and graphics provider, AerisWeather. What If the National Weather Servive Really Shut Down? What do you think fuels all those nifty weather apps on your phone? A much-needed reality check from Dr. Marshall Shepherd at Forbes; here's an excerpt: "...Over time, the federal sector and the emerging private sector have begun working closely together. The private sector is often more nimble and can provide value-added services, but it is important for the American public to understand that federal data, models, and warnings are still the solid backbone. A landmark weather bill signed into law in recent years does mandate more private-sector data contributions to the "U.S. weather mix" going forward. I hope that you have a better idea of how weather information gets to your "eyes." I also hope this puts to bed comments about why a National Weather Service is needed..."
Map credit: National Centers for Environmental Prediction/NOAA. Skim Reading is the New Normal. The Effect on Society is Profound. The Guardian has a must-read (not skim) article: "...English literature scholar and teacher Mark Edmundson describes how many college students actively avoid the classic literature of the 19th and 20th centuries because they no longer have the patience to read longer, denser, more difficult texts. We should be less concerned with students’ “cognitive impatience,” however, than by what may underlie it: the potential inability of large numbers of students to read with a level of critical analysis sufficient to comprehend the complexity of thought and argument found in more demanding texts, whether in literature and science in college, or in wills, contracts and the deliberately confusing public referendum questions citizens encounter in the voting booth..."
Image credit: "We need to cultivate a new kind of brain: a “bi-literate’ reading brain.’ Illustration: Sebastien Thibault. The Miracle of Minneapolis. In 2015 Derek Thompson shared some of the secrets we're already quite well aware of at The Atlantic; here's a clip: "...Only three large metros where at least half the homes are within reach for young middle-class families also finish in the top 10 in the Harvard-Berkeley mobility study: Salt Lake City, Pittsburgh, and Minneapolis–St. Paul. The last is particularly remarkable. The Minneapolis–St. Paul metro area is richer by median household income than Pittsburgh or Salt Lake City (or New York, or Chicago, or Los Angeles). Among residents under 35, the Twin Cities place in the top 10 for highest college-graduation rate, highest median earnings, and lowest poverty rate, according to the most recent census figures. And yet, according to the Center for Housing Policy, low-income families can rent a home and commute to work more affordably in Minneapolis–St. Paul than in all but one other major metro area (Washington, D.C.)..."
NASA visited the farthest object ever explored. Details via CNN.com: "Just after midnight Eastern time on Tuesday, the New Horizons space probe flew by celestial object 2014 MU69, a mysterious chunk of reddish rock 4 billion miles from Earth. New Horizons will spend 20 months transmitting data and imagery on the object, nicknamed “Ultimate Thule.” Ultima Thule is a Kuiper Belt object that's a billion miles beyond Pluto. New Horizons screamed past Ultima at 31,500 miles per hour…Brian May, the guitarist for the legendary rock band Queen and an astrophysicist, is also a participating scientist in the New Horizons mission..."
New Horizons spacecraft image credit: NASA. 22 F. high temperature yesterday at MSP. 24 F. average Twin Cities high on January 2. 15 F. maximum temperature on January 2, 2018. January 3, 1981: Arctic air visits Minnesota. Embarrass, Wannaska, and Tower all hit 38 below zero. January 3, 1977: 14.2 inches of snow falls in Mankato. "Meet the Press" Just Modeled What It Looks Like To Take Climate Change Seriously. Grist explains: "On Sunday morning, NBC’s Meet the Press did what no other weekend news program had ever done before: They discussed climate change for a full hour. Host Chuck Todd led off the hour with what amounted to a bold line in the sand: Climate denial is no longer welcome on our airwaves. It’s a statement that hopefully sets the tone for media coverage as a new year begins and 2020 Presidential campaigns gets underway. It was a glimpse of what it would look like if we took climate change seriously. Although an episode like this was a long-time coming and the debate itself was a little underwhelming (and maybe the show’s forward-looking ban should have come with an apology for past sins), it was still a watershed moment for the media when most shows have long-ignored the most important issue facing humanity in our collective history..."
Warming at 100 Military Sites Across the U.S. Climate Central takes a look at the trends: "...According to a survey conducted by the Department of Defense between 2013 and 2015, at least one military site in every state has been negatively affected by some type of extreme weather, flooding, or wildfire. The survey indicated that damage has been done to airfield operations, training facilities, and transportation and energy infrastructure. As climate continues to change, these risks will grow even further. Some of the most vulnerable locations are along the coasts, where a sea-level rise of roughly three feet — a conservative estimate of rise by 2100 — is projected to put nearly 130 bases at risk of damage from tidal floods and storm surges. There is also a striking warming trend at these locations across the U.S. — since 1950, all 100 military bases chosen for our analysis are trending warmer..."
Extreme Weather in 2018 was a Raging, Howling Signal of Climate Change. The Washington Post takes a look at how a warmer, wetter climate lead amplifed weather disruption last year: "...Just off the top of his head, climate scientist Kevin Trenberth can recount many of the weather disasters that hit the planet in 2018. Record rainfall and flooding in Japan, followed by a heat wave that sent tens of thousands of people to the hospital. Astonishing temperature records set across the planet, including sweltering weather above the Arctic Circle. Historic, lethal wildfires in Greece, Sweden and California, terrible flooding in India, a super typhoon with 165-mph winds in the Philippines, and two record-setting hurricanes that slammed the Southeast United States. “Climate change is adding to what’s going on naturally, and it’s that extra stress that causes things to break,” said Trenberth, a scientist at the National Center for Atmospheric Research in Boulder, Colo..."
Photo credit: "The Trump administration released on Nov. 23 a long-awaited report outlining that climate change impacts "are intensifying across the country." (Luis Velarde /The Washington Post). How to Rescue the Global Climate Change Agenda. Can we find a (global) solution in time to avert a worst-case emission/warming outcome? Here's a clip of an Op-Ed at Financial Times: "...What makes this so depressing is that — as Adair Turner, chairman of the Energy Transitions Commission, recently argued — a zero-carbon economy is now both feasible and affordable. Indeed, he stresses, this “would be undoubtedly technically possible at a very small economic cost”. The core of the transition would be a huge boost to the role of electricity, with a parallel shift to nuclear and, above all, renewable sources of electricity generation. 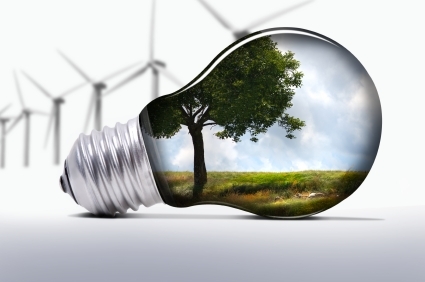 Three other essential technologies will be: hydrogen power, from hydrogen produced by electrolysis; bioenergy, for aviation fuel and feedstocks for plastics; and carbon capture..."